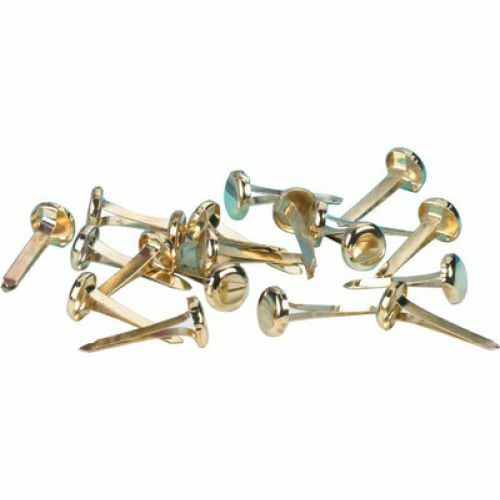 Brass plated fasteners have stiff shanks and sharp points for easy penetration. Shafts spread evenly for good gripping. Box of 100.